Madsens Memories....: The coolest Halloween Party! They are a great group of kids and we sure had a blast coming up with fun oogly googly foods and games! The classic doughnut eating game. It is so much harder than it looks! And no Carson is not licking Carly's arm- it just looks like it in the picture! He was desperately trying to get his darn doughnut! Bowling with a pumpkin and toilet paper! We love doing this game every year! with some pretty nasty tasting food! And of course I had to take pictures! These two were so hilarious, they kept competing all night about who was the better nerd! Now that's entertainment! We also had a costume contest, a guess how much candy in the jar contest and as they left we gave them their pictures and some Count Chocula cereal. We have a busy Halloween weekend ahead, more fun to come! What a great party! You sure are creative with all the spooky treats! 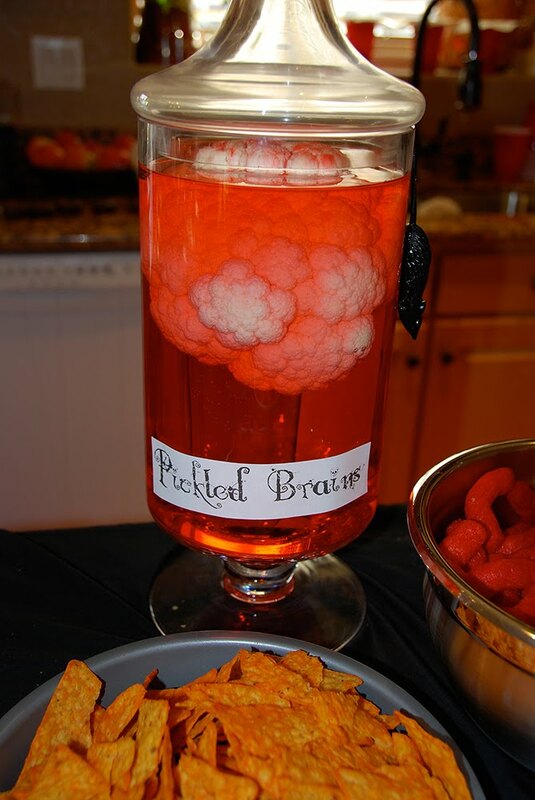 I love the pickled brains. You sure were brave to do the donut contest on your carpet. I love that Cars is licking her arm in attempts to get the donut. :) Everyone's costumes were great. Love the boys! Good times! Carson is definitly licking her arm AND holding her hand!! Too funny! What a fun, fun party! Looks like everyone had a blast. And boy did you have some creepy food - very creative!! Can anyone say Revenge of the Nerds 6? Looks like a great party Ahsley! 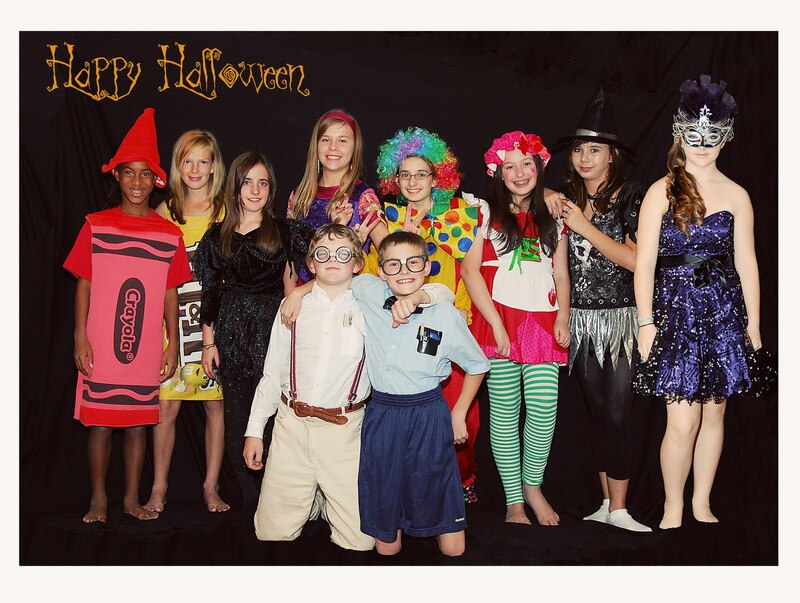 Thanks for sharing the pictures of Halloween party activities. Tempted to have one with my friends too. These details are more than enough to arrange a perfect horror party. And if we talk about place, San Francisco venues is the best option. Will discuss the package and facilities provided by them once. UPDATE! 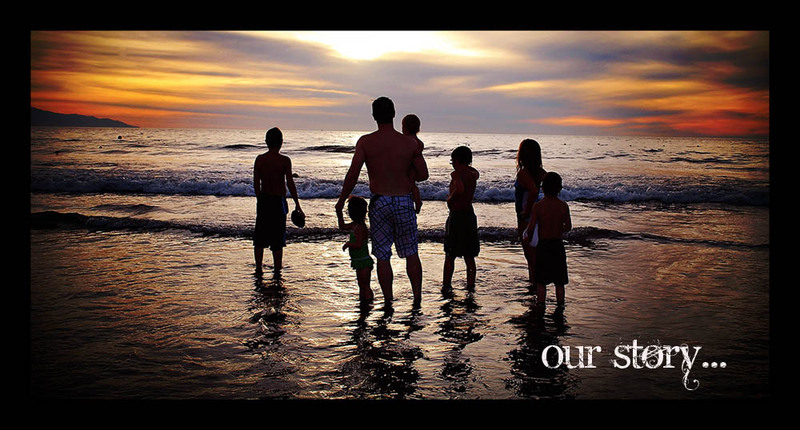 Click on the button below to buy the new and updated CHORE CHARTS! All images on this blog are copyrighted, DO NOT USE without my permission!